Flavour refers to the sensory feel of any kind of food consumed by the body. It is primarily discerned by the chemical senses of smell, taste, feel and vision. In the mouth, flavour is sensed by the ‘trigeminal senses’, which detect chemical molecules in the palate of the mouth and throat. Food flavour can be artificially crafted to get a desired combination of taste and feel, setting the signature taste of a dish or food product. Food flavours are widely used in a huge array of processed and unprocessed food products. Beginning with beverages and ending with bakery products, flavours manifest in everything we consume on a daily basis. For clients industries with requirement of flavours, MAME has a specially organised section filled with top quality and safe, non-hazardous flavours. 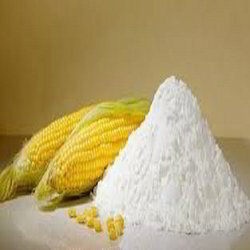 Also popularly known as corn flour, corn starch or simply referred to as maize, maize starch is the carbohydrate content extracted from the endosperm of the maize (corn) grain. Maize starch is well known for its use as a thickening agent in processed, liquid-based food products. The maize starch thickener is conventionally prepared by blending maize starch powder with a liquid of a lower temperature to obtain a translucent paste or a slurry fluid. Sauces, soups, gravies, custards are customary maize starch products. Other applications include starching laundry, anti-caking, sugar syrup making, natural latex manufacturing and glucose supplicants manufacturing. Food industry – sweeteners, binder and thickening agents, stabilizers and gelling agents, flavours. Laundry industry – starching agents. Better known as salt and also referred to as halite, sodium chloride is one of the most widely used chemicals. Present in every substance from sea water to extracellular fluid in living organisms, salt has multi-functional responsibilities. 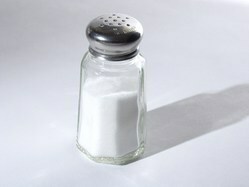 Salt used in cooking for taste and disinfection. Salt is also commercially applied as food preservative to large varieties of products. Industrial processes, chemical syntheses, de-icing of roadways and laundry agents all employ salt as a major functional component. Rubber manufacturing requires salt to make buna, neoprene and white rubber brands of tyres. Salt plays the coagulation role as part of these processes. Prior to tarring highways and roads, salt is applied to underlying soil layers in order to elevate its firmness and minimize shifts brought on by large loads and humid temperatures. Salt is also used to rid hard water of it hardening factors. Food industry – food additives, preservatives, condiments, flavours. Paper industry – bleaching agents. Textile industry – flocculating agents, inorganic contaminant separators. Chemical industry – Chlor-alkali production, soda-ash production. Pharmaceutical industry – intravenous electrolyte infusions. Primarily a polysaccharide, malto dextrin is most commonly used as a food additive. Widely present in soft drinks, candies and other processed food, this hygroscopic food additive is a white spray-dried powder that is either partially sweet or flavourless. It is used as an energy source in processed food products. Malto dextrin is extracted from starch, usually corn starch or wheat starch, using an enzymatic process. The derivative largely finds application in breweries in improving the wetness. Sacks like potato chips, jerky, peanut butter are given their texture by use of this product. Malto dextrin also acts as nutrition supplement in several food products as it can be easily digested. It is used for similar purposes in animal feed. Apart from extensive uses in the food industry, malto dextrin is also used in the construction industry. Food industry – food additives, nutrition supplements, gelling agents, flavours. 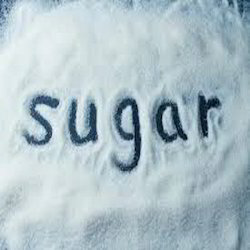 Sugar is short chain, soluble carbohydrates, widely used to sweeten food products. Sugars exist is various forms, largely categorised as simple and complex sugars. Simple sugars, termed ‘monosaccharides’, include glucose, fructose sand galactose. These sugars are made up of repetitive units of similar building blocks. Complex sugars or ‘disaccharides’, such as sucrose, maltose and lactose are made of a combination of smaller dissimilar units of simple sugars. Longer chains of sugars are termed as ‘oligosaccharides’. Although sugars are found in all plants, only select plants like sugarcane and beet have sufficient concentrations of sugar economical enough to extract product from. Food industry – baked goods, confectionaries, jams, marmalades, breweries, flavours.